$68 for two pairs of underwear? Come on now. So I just spent $68 on two pairs of underwear. Seems extravagant right? But far from being any kind of fancy lingerie they’re plain and black and feel vaguely like swim bottoms. They’re Thinx, the new period underwear – the latest in a string of products invented to make that monthly occurence that bit easier. Thinx are pretty expensive, but as long as they last longer than a year, they’ll be more cost effective than buying pads – and they’re much better for the environment. We don’t usually talk about periods as a big economic problem but they are – they’re expensive, create a lot of waste and keep a lot of women from going to school or work. 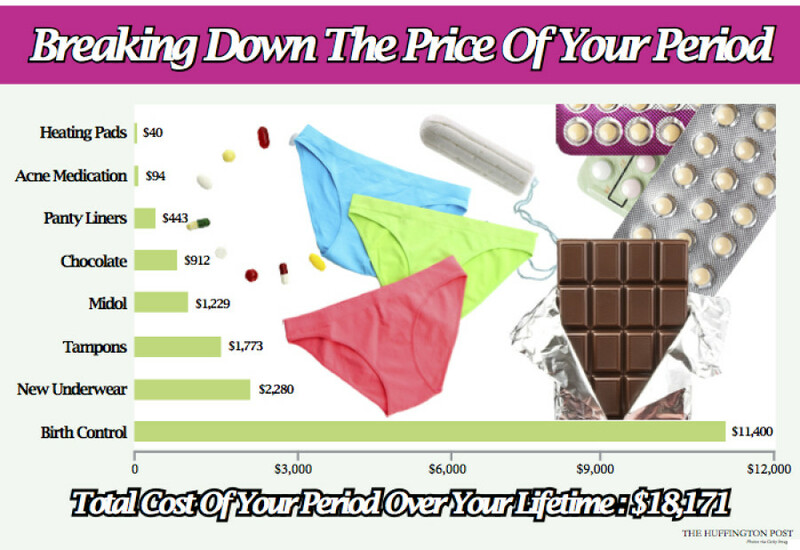 The average woman spends 6.25 years of her life on her period and can spend up to $5,600 on menstrual products in her lifetime. 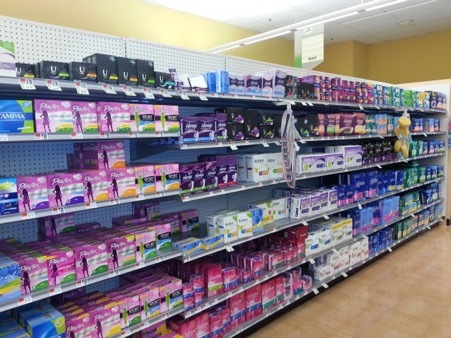 The global market for feminine hygiene products is $19 billion annually. That number is actually pretty low given that almost a third of the world’s population has a period every month. For reference Americans spend $38 billion on wine, $16 billion on chocolate, and $13.7 billion on ice cream annually. They also create a lot of waste. All these menstrual products lead to plenty of waste. 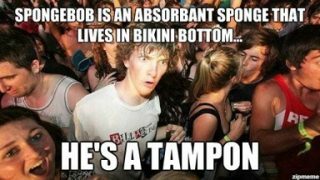 The average woman will create 300 pounds of feminine hygiene waste in her lifetime. In addition to the waste created by disposable options, there is also the water and energy needed to create them, as well as the chemicals used to bleach the cotton to make it look “cleaner” and the oil needed to make plastic applicators for tampons or backing for pads. Not having tampons can be a problem too.
. 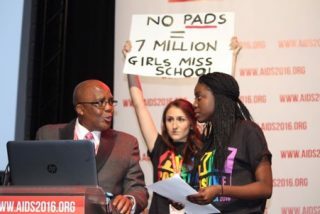 This year protesters interrupted the South African AIDS day to bring awareness to girls engaging in prostitution to afford sanitary items. The stigma itself is costly. It’s not just the stuff around periods that creates so many issues – it’s also the taboo. Cultural custom in many places in the world hold that women on their periods are “unclean” and therefore cannot sleep inside the house or take up other household tasks like cooking and cleaning. The cultural taboos around periods contribute to lost work or school time, and in extreme cases the loss of life. This month a woman in Nepal died while sleeping outside in her menstrual hut. But it’s not just poor countries that have problems with periods. I suggest bringing up monthly cycles at the next party you attend and see how popular you are. 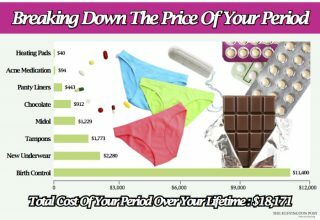 This taboo keeps people from discussing periods and the options for dealing with them – I personally have been a fan of the silicone menstrual cup for years, and at $30 its even more economical than reusable pads or underwear.
. But with periods, many women don’t know about these options because of the lack of discussion, and are most likely to stick with whatever their mother uses. This can lead people to miss out on more cost effective or environmentally friendly options. Maybe you should try out $68 underwear too.